عندما تزور هوبارت, ستشعر أنك في بيتك في Riverfront Motel & Villas الذي يقدم لك إقامة متميزة و خدمات عظيمة. يمكن من هنا للضيوف الاستمتاع بسهولة الوصول إلى كل ما تقدمه هذه المدينة النابضة بالحياة. يوفر الفندق بفضل موقعة الجيد وصولاً سهلاً إلى أهم معالم المدينة.
. كما يقدم Riverfront Motel & Villas الكثير من الخدمات لإغناء رحلتك في هوبارت. تتضمن الميزات الرئيسية في هذا الفندق: واي فاي في المناطق العامة, صف السيارات, خدمة الغرف, مرافق خاصة بعقد الاجتماعات, مركز رجال الأعمال. استمتع بوسائل الراحة الراقية في الغرف أثناء إقامتك هنا. بعض الغرف تتضمن تلفزيون بشاشة مسطحة, اتصال لاسلكي بالإنترنت, غرف لغير المدخنين, مكيف هواء, تدفئة لمساعدتك على استعادة طاقتك بعد يوم طويل. يقدم الفندق خدمات رائعة كمثل مسار جولف - ضمن 3 كم, حمام سباحة خارجي, نادي للأطفال, ملعب تنس, حديقة لمساعدتك على الاسترخاء بعد نهار طويل من النشاط والتجوال في المدينة. يشكل Riverfront Motel & Villas بخدماته الراقية وموقعه الممتاز، قاعدة مثالية للاستمتاع بإقامتك في هوبارت. منزل من 4 غرف نوم. Suggest to include the number of bath room & toilet info.for those villas. As we booked a 3 bedrooms villas and found only one bathroom/toilet for a group of 9 (audlts & kids) upon check-in. We are lucky with friendly staff who help us change to 4 bedroom villas with 2 bathroom/toilet. Highly recommended this 4 bedroom villas if you have a group to stay, this villas is facing the lawn & lake, lovely environment for vacation. Riverview Room, -great view across lawn to water. Duck & ducklings walked right in off the lawn.🐥 Large grounds. MONA just around the corner. Largish, good value meals (parmigiana $24). No aircon, but fan adequate ,-even in January. Wifi not super fast, but adequate. Easy drive to city. Helpful staff. Very convenient, very quiet and peaceful. Stayed here for 4 nights in a 2 bedroom villa. Positives: Villa was spacious and clean but old and tired looking except for the bathroom which looked quite new. 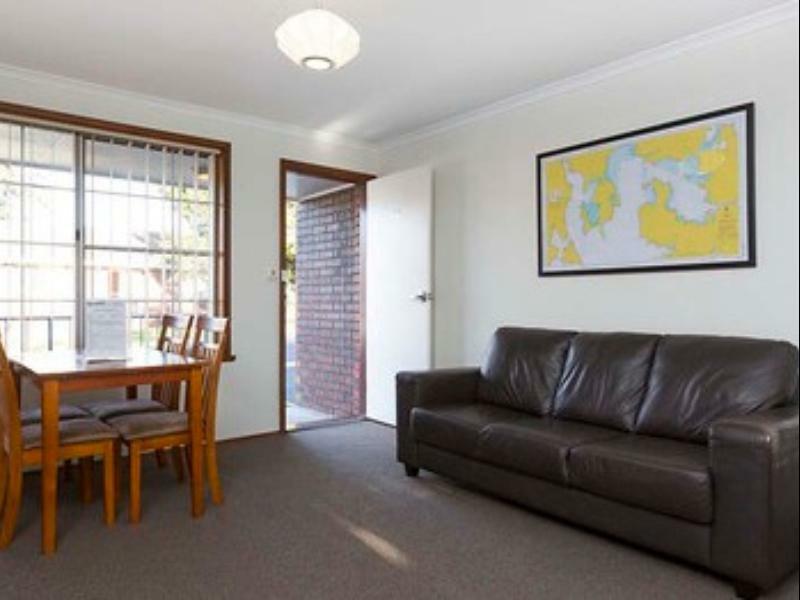 Full kitchen was a bonus Great location close to Mona and Glenorchy Plaza. Not too far from Hobart CBD. Staff were friendly and welcoming Beautiful view of the river Comfortable beds Negatives: Not enough coffee and tea provided for the duration of the stay Only 2 toilet rolls provided for 5 adults No fresh towels provided during the stay Not enough privacy at night, no blind in kitchen, just a curtain, very hot in the afternoon/evening. No flyscreens on windows Unit 58 needs some work. We rented total 3 villa and they arranged the villa next to each together. It was really convenient for us. The villa is in good size for 5. We cooked our own breakfast and dinner with the kitchen utensils provided. The view by the river front is really beautiful and quiet. We really enjoyed our stay. We were given a 2 bedroom villa without view, one bedroom faced water tanks litter with birds poo, the consolation is the villa is clean and fully furnished. We were given free wifi vouchers but reception was so poor that it is as good as not having wifi.. Towels are clean and beds are comfortable with electric blanket, heater, electric fan and air condition. The walk along the river is beautiful with black swans, hunting ducks, rabbits and many birds and sculpture too along the river bank. People in Hobart are generally warm and friendly! The bed was comfortable, but I had a difficult time falling asleep because hotel is right next to a major highway. The noises from vehicles on the highway were quite bad. Once I fell asleep, I was okay. You clearly need a vehicle to get to this hotel. It is locatedaabout 7-8km from Hobart. this is a clean, simple motel with friendly staffs. 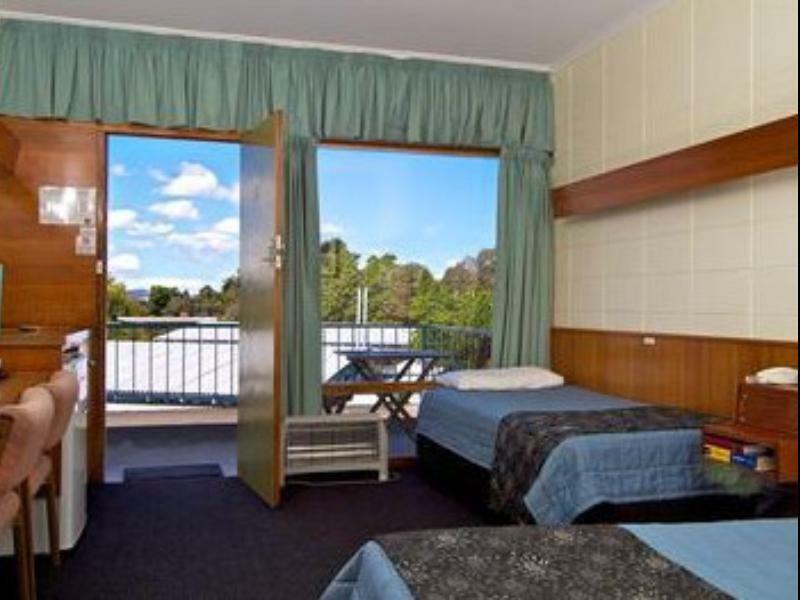 rooms are not big but clean and quiet, even though it's located close to the brooker highway. the restaurant serves excellent beef at reasonable prices as it's owner also owns a cattle ranch with grass fed cattles so the beef is fresh and well grilled to our liking. We paid for and stayed in a budget room. The electricity went off when you put the electric blankets and the jug, and heater on at the same time. So the electricity needs to be looked at. The rooms are cold even with a heater. The bathroom is exceedingly cold with the air vent at the top of the room. The room, however, was very clean. The beds changed each day. The staff were nice. Could do with more coffee and tea sachets for the people staying there. Very noisy with lots of people staying there. I have only one word for the beds at this Motel. Appalling!!! We stayed in Unit Number 1. We required 2 single beds. The springs were definitely gone in the mattresses. I felt like I was falling out of bed all night. 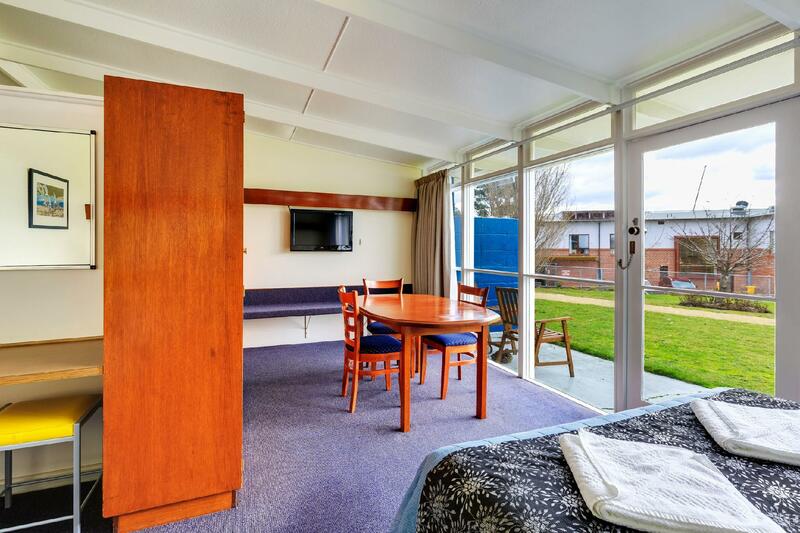 It's a pity because we could see the unit had been newly renovated except obviously for the beds. The motel units are dated but serviceable. The Motel is good, not fantastically equipped compare to others locations we have booked, They are just beside the river therefore you can get great view with the ducks and seagulls running around your backyard. One issue we had during our stay, the glass shower door was dislodged from the hinge when we came back one night. My wife called to the reception and the lady told us that she is too busy and cannot help. thereafter, she just refused to answer the phone at all. Only late in the night where one staff came over and check the situation and offered some additional floor towels so that we can dry the floor as the water spilled into the hall. Do also note that there is only one BBQ pit for the whole entire motel, At the time we used it, it was not well maintained with ants and food scraps all over the place. This hotel is just besides the highway. Easy to locate. MONA is only 1-2 mins car drive. Very convenient. There is a nice walking path along the bay. Wifi is only 100MB per voucher. Food serving in the restaurant is huge. No air-conditioning. Only heater. The hotel does look old and nostalgic. we had a great time, the reception staff were all excellent with my enquiries about local areas and information on how to get there. the restaurant meals were great and service was prompt with friendly staff. I would definitely stay there again and recommend the motel to any friends who may be travelling to Hobart. my son was entertained by 'blindy' the duck and we used the barbecue facilities which were ample for our needs. Thankyou for a comfortable stay here. We enjoyed the water views and also the easiness of getting to MONA and Cadbury's. Not too far from Hobart. We had our evening meal at the Restaurant and it was delicious. The staff were all friendly and helpful. Really liked the location and view of the Derwent. Had great service and a nice meal in the Restaurant the night we arrived. Room well presented and very clean. Staff polite and very helpful. Only down side was the presence of some very loud & inconsiderate guests in the next room on our second night. As an overall comment, we would definitely stay here again.